Wed., Sept. 5, 2018, 9:36 a.m. The chance of playing another Ryder Cup kept Ian Poulter motivated through his dark times over the last two years. Paul Casey made major changes to his schedule in order to get another shot at golf’s greatest team event. 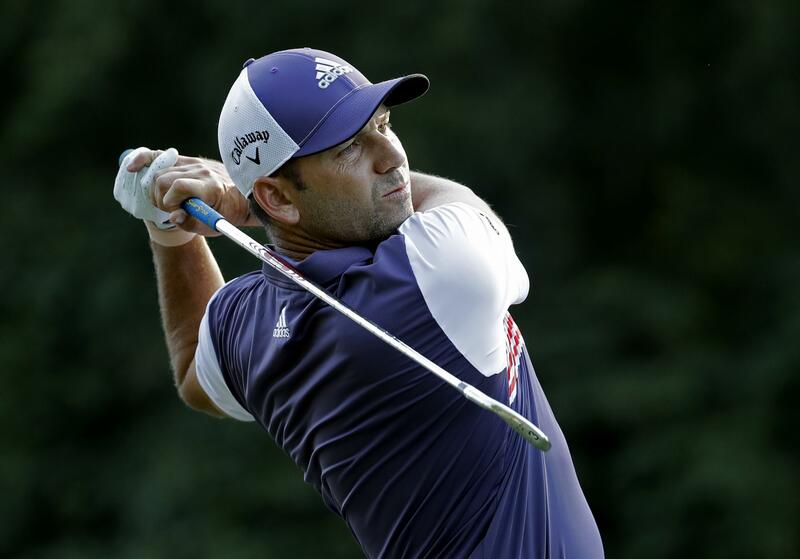 Throughout his own recent slump, Sergio Garcia was in regular conversation with close friend Thomas Bjorn in an effort to stay in the European captain’s thinking. It all paid off on Wednesday. In a selection that rewarded experience over form, Bjorn balanced a team overflowing with rookies by picking Garcia, Poulter, Casey and Henrik Stenson as his wild-cards for Europe’s bid to regain the Ryder Cup from the United States in Paris from Sept. 28-30. Bjorn wasn’t short of options as he weighed up who to add to a team containing automatic qualifiers Rory McIlroy, Francesco Molinari, Justin Rose, Thorbjorn Olesen, Jon Rahm, Tyrrell Hatton, Tommy Fleetwood and Alex Noren. Up-and-coming Englishman Matt Wallace perhaps made the strongest case for inclusion after winning the Made In Denmark event last weekend – in front of Bjorn on his home course – for his third victory in 15 starts on the European Tour. But selecting Wallace would have meant Europe had a sixth rookie on the team, along with Olesen, Rahm, Hatton, Fleetwood and Noren. In the end, Bjorn leant on Europe’s tried and tested. The four captain’s picks have made 20 Ryder Cup appearances between them, and each has won at least 50 percent of their matches in the competition. Their average age is 40.75. “I’m going to give everything I can, not only on the golf course but in the team room,” said Garcia, the most fortunate of the picks having missed the cut in eight of his last 13 events. Garcia, the 2017 Masters champion, will be making his ninth appearance in the Ryder Cup and it seemed Bjorn was never going to go without the experienced Spaniard. Poulter, often referred to as “Mr. Ryder Cup,” is back for his sixth appearance after missing the 2016 edition that the Americans won at Hazeltine. He has lost only four of 18 Ryder Cup matches, is undefeated in singles, and was the inspiration behind Europe’s improbable comeback from 10-6 behind to win in Medinah in 2012. Casey, ranked No. 16, is returning to the Ryder Cup for the first time since 2008. After failing to earn a wild-card pick in 2010, he later gave up his European Tour membership, which barred him from playing in the biennial team event. He joined the tour again last year with the competition in mind. Stenson has been struggling with an elbow injury since before the British Open in July and has broken 70 only three times in 20 attempts at Le Golf National in Paris, where he hasn’t played since 2012. It will be the Swedish golfer’s fifth Ryder Cup appearance. Rafa Cabrera-Bello, who made his Ryder Cup debut in 2016, might feel slightly hard done by after finishing just outside the qualifying positions. His seventh place at the Dell Technologies Championship in the PGA Tour’s FedEx Cup would have lifted him into the automatic spots if the event had finished on Sunday instead of Monday. The cut-off date for qualifying was Sunday. Cabrera-Bello’s compatriot, Garcia, was perhaps the biggest beneficiary. Published: Sept. 5, 2018, 9:36 a.m.